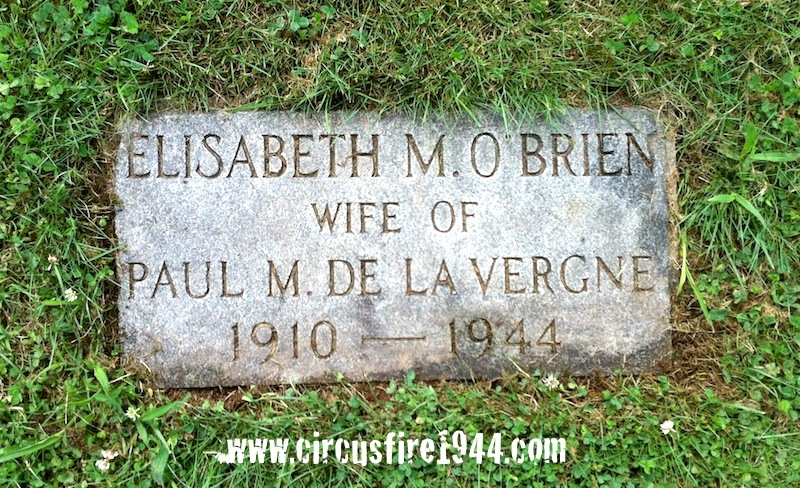 Mrs. Elizabeth M. "Beth" (O'Brien) de la Vergne of Undercliff Sanatorium, Meriden, was born November 17, 1910 in Meriden, daughter of Elizabeth A. (McCormack) and Patrick O'Brien. 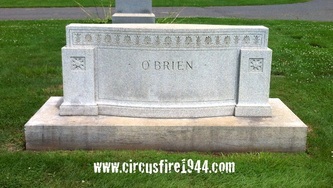 She was found dead at the circus grounds after the fire on July 6 and was buried at Sacred Heart Cemetery in Meriden after services at the John J. Smith Funeral Home. 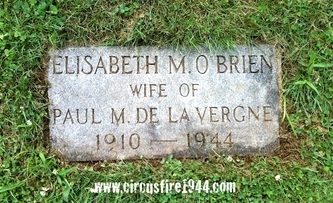 Elizabeth is survived by her mother; her sister, Mrs. Mary Malone, 35; her husband, Dr. Paul Mason de la Vergne, 35; and two sons, David Paul, 4, and Thomas Edward, 6 months. 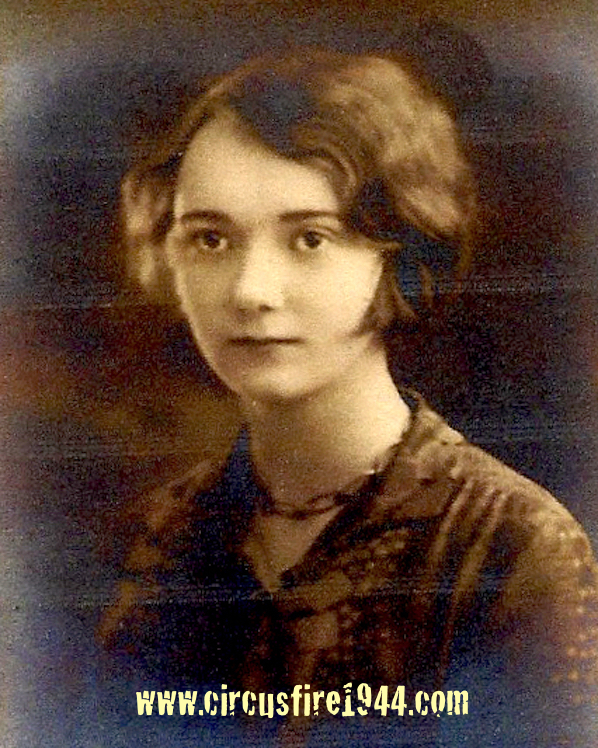 Body #4502 was identified as Elizabeth de la Vergne at the State Armory on July 6 by Dr. Thompson of Undercliff. Elizabeth was a graduate of the College of St. Elizabeth in New Jersey, and had worked until her marriage to Dr. de la Vergne. 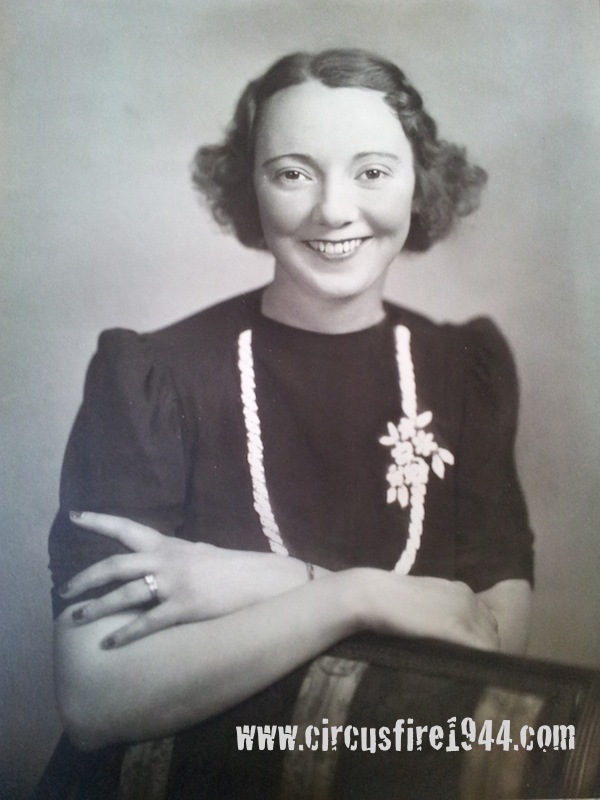 She was an active member of many clubs and groups, including the executive committee of the Red Cross. 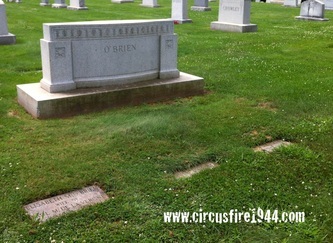 The de la Vergne family went to the circus with friends from Undercliff, Dr. Lawrence Thompson and his son Jack. 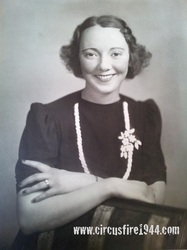 The Thompson's acquired five tickets, and Mrs. Thompson offered to stay home and watch the de la Vergne's infant son so that Elizabeth could attend the show. 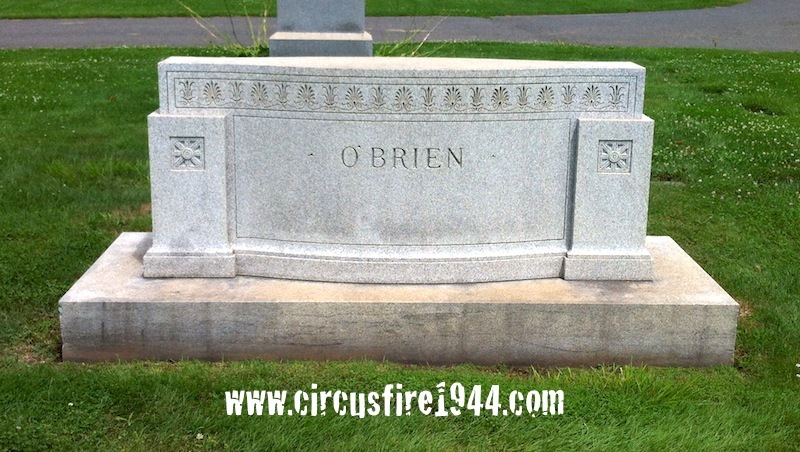 At the circus, the group sat in the top row of bleachers but Elizabeth relocated to a lower seat due to her fear of heights. 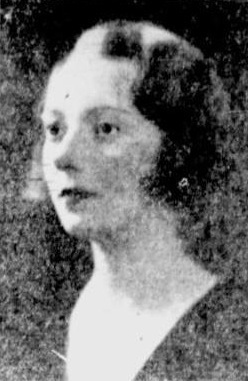 The men escaped the burning tent by sliding down the ropes behind the bleachers and dropping the boys down; Elizabeth never made it out alive. 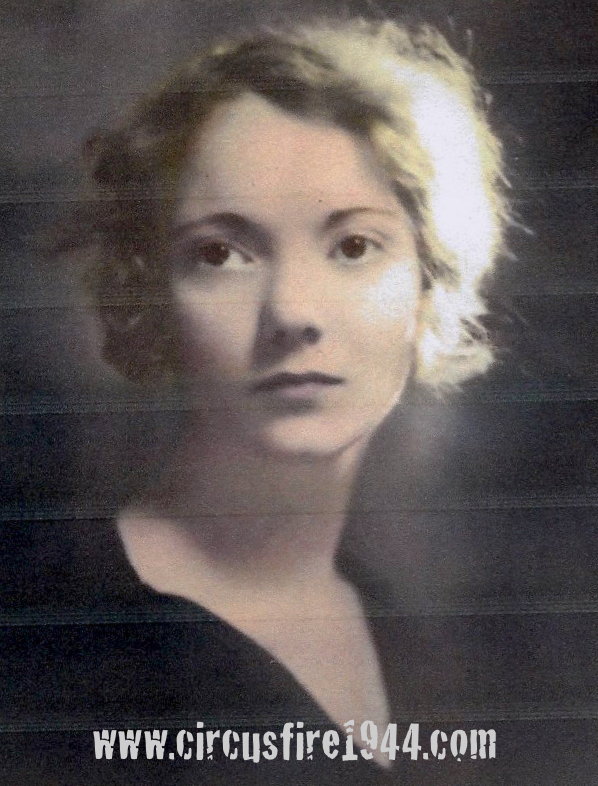 Mrs. de la Vergne's estate was awarded $12,000 by the arbitration board.